Introducing the new green recycled chef apparel line that utilizes 20% post-consumer waste. 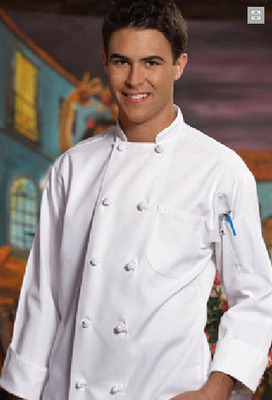 From the Executive high end chef coat to the working line coat, we have the right chef coat for you! 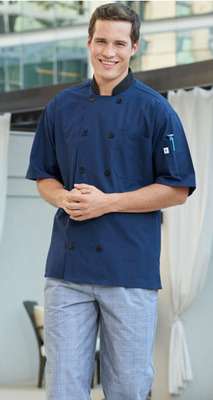 Whether 100% Egyptian Cotton, Cotton Twill, or Poly/Cotton, we can outfit you with a comfortable and economical chef coat! 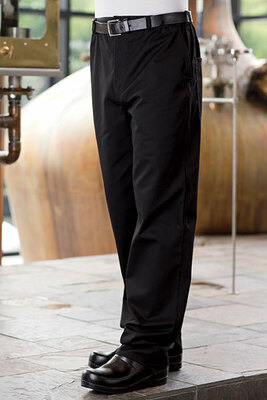 Our new line of chef pants include pants made from yarn dyed fabric. 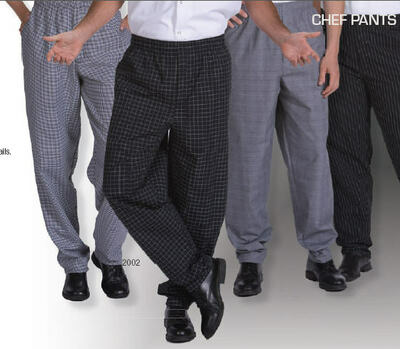 Most chef pants have the pattern printed on the outside of the pant. Yarn dyed pants are actually sewn with the colored fabric. This results in a longer lasting pant! All our cook's shirts are made a whole two inches longer than competing brands. The shirts are made from a light Poly/Cotton fabric, which will keep you cooler under the warmest of conditions. From Bib style to Bistro style aprons, we have the right one for you. We even have a water proof apron for the dishwasher, so we can keep him/her dry! We have you covered in the kitchen! Whether it be the traditional chef touque, beanie, or ball cap style, we can meet your kitchen head gear needs. 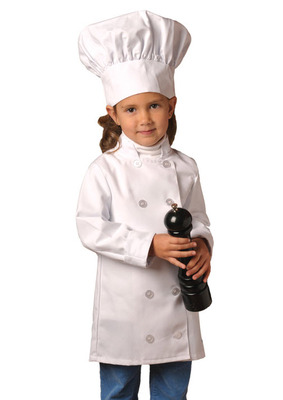 Dress your kids up in all our fantastic chef gear! Find the largest collection of kitchen uniforms at Sharper Uniforms. 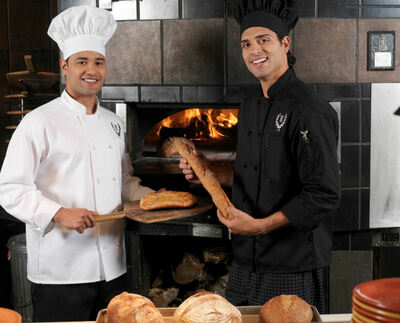 We have classic and contemporary restaurant uniforms, from high-end chef coats to economy-priced chef's pants. 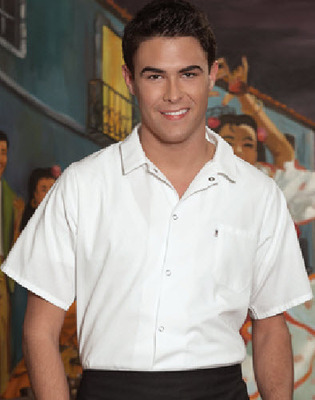 Shop our affordable prices on hotel uniforms. 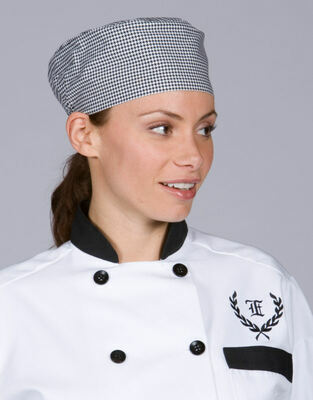 We have unisex kitchen uniforms, and female chef pants and jackets. Averill's Sharper Uniforms carries everything restaurateurs need to properly outfit their kitchen crews, from line cooks' shirts to food server uniforms. 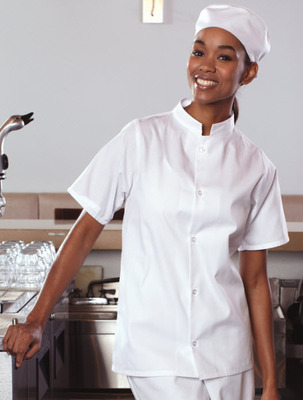 All of our kitchen uniforms are made from materials, including Egyptian cotton. 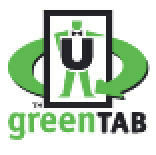 Go green with our environmentally friendly kitchen apparel made from recycled materials. 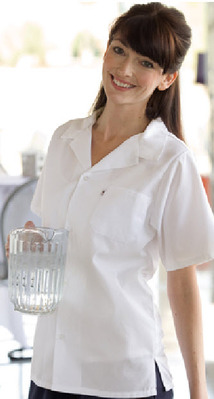 Our lightweight short-sleeved food preparation shirts will keep your staff cool in hot, busy kitchens. Shop our line of economy and high-end aprons for kitchen, wait staff and catering company personnel. We have water-repellant kitchen aprons and kitchen baseball caps - a contemporary choice in how to keep hair tucked in and away from your face while preparing food. 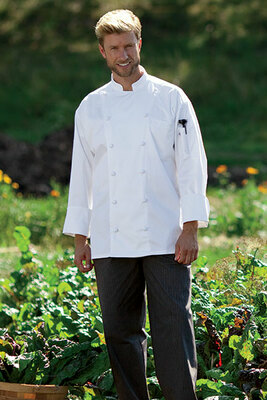 100% Egyptian Chef Coat, Super comfortable, light weight coat for show or hot working conditions. This is the top coat we have to offer. 65/35 Poly Cotton Poplin - 5.25 oz. These pants let you feel cool and green in the hot kitchen. 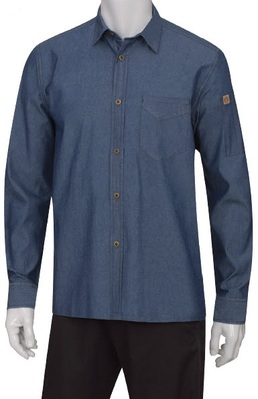 Who doesn't love a soft comfortable denim server shirt for the front or back of the house! 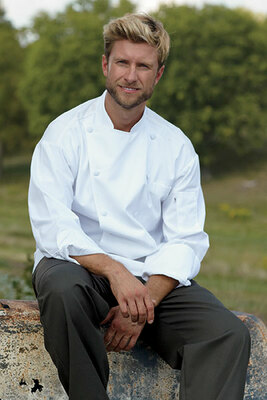 Moisture wicking chef coat with tonal mesh backing for cooling comfort.